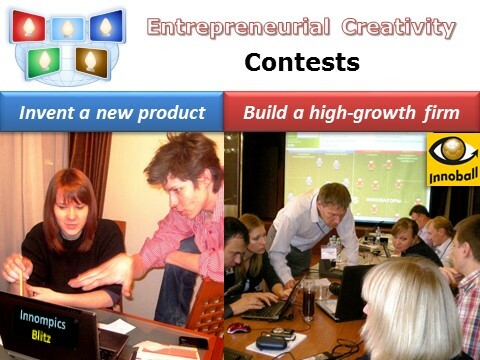 There are plenty of invention contests, such as hackathons, but an invention is just the first step of an innovation journey. 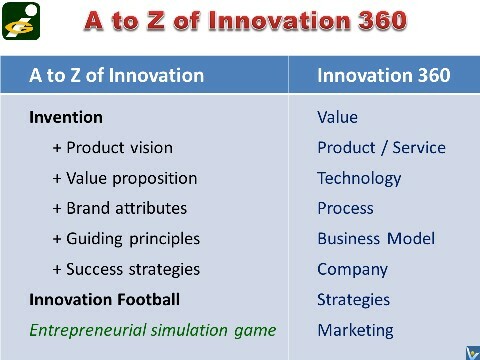 Invention contests are about mastering the letter "A" of the innovation journey. Innompic contests are about mastering the entire alphabet. 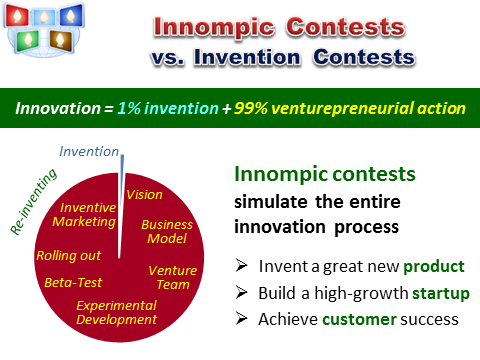 Invention contests are quiet, exclusive and local. 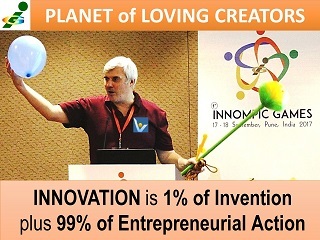 Innompic Games are exciting, all-inclusive and global. Give disruptive innopreneurs a venture capital fund, and you'll feed few of them for a short while.